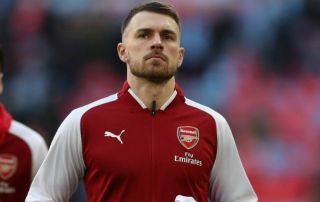 Aaron Ramsey to Juventus now seems to be a case of when rather than if. The Arsenal midfielder, whose contract is due to expire in less than six months, has been linked with Juventus for what feels like an eternity and the Serie A giants now have to power to speak directly to the 28-year-old with a view to signing him on a free transfer in the summer. But a January move remains a possibility and, according to The Mirror, Arsenal have told Juventus it will cost them a fee of £18million to sign him this month – which is £13m more than what Arsenal paid when they bought the Welshman from Cardiff City back in 2008. Juve must weigh up whether the luxury of having Ramsey play for them this season is worth £18m. They surely don’t need him to win Serie A as they are already nine points clear after 19 matches. Ultimately, it is about the Champions League. Having dominated Italy, European glory is top of Juve’s agenda and perhaps Ramsey could make all the difference? Juve topped their group ahead of Manchester United and will meet Atletico Madrid in the last 16.